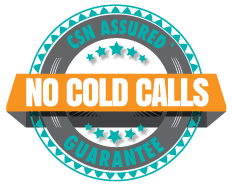 PPI Deadline - Aug 19th 2019 - Claim now with Consumer Savings Network! The PPI Deadline is Coming! Try our FREE Checking service today to find out if you could claim! A deadline has been set by the Financial Conduct Authority for claiming back PPI. All claims must now be made by August 29th 2019. Martin Lewis has urged all those that are not sure if they have a potential claim, to look into it soon in order to miss the inevitable backlog the banks will face from submissions made closer to the deadline. Not sure if you paid PPI in the past? Consumer Savings Network will run a free check on all your old loans, credit cards, store cards, mortgages and/or overdrafts. Consumer Savings Network has helped to find PPI for thousands of clients who had no idea if they paid PPI. All work is No Win No Fee so you have nothing to lose by having it checked and potentially everything to gain. The deadline has been set as August 29th 2019. All claims must be made by that date. Not Sure if you qualify to get PPI Compensation – Use our FREE PPI Check Service and we will find out for you!